Rochester Soccer Camps are a fun and challenging development opportunity for every player! The camp staff is committed to offering a memorable week of camp that will help every player improve their game. Q. Is shuttle service available from the airport? A. Yes. The Rochester International Airport services all major airlines (Airport code is ROC). Shuttle service is free. Please email jburgasser@sports.rochester.edu for boys residential camp and rbartoo@sports.rochester.edu for girls residential camp with your flight itinerary and a contact phone number to arrange for pick up at the airport. Q. What items should campers bring to camp? A. Each camper will receive a complimentary t-shirt. All campers must bring proper playing equipment: cleats, shin-guards, water bottle extra socks/t-shirts, sunscreen, etc. Overnight campers should review the detailed camp confirmation sent via e-mail upon acceptance regarding travel and necessary equipment. Q. What coaches will be present at the camps/clinics? A. In addition to the UR coaching staff, the camp will feature top college coaches, current and former professional players and college standouts to ensure the development of each camper. Members of the UR Men’s and Women’s teams will be present at all sessions and will interact directly with the campers throughout. Q. Does the camp offer specialized goalkeeper training? A. Yes both our residential and day camps included GK specific training. For day campers, please indicate on the application or online registration form that you will attend GK training. Specialized goalkeeper training will be conducted during each week of camp. Quality staff members will introduce basic goalkeeper techniques as well as provide valuable match experience during day camps. During the residential programs, goalkeepers will improve their technique while developing a better tactical understanding of their position. Goalkeeper evaluations will be provided to each residential camper as well. Q. 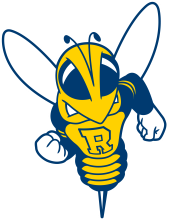 Where is the University of Rochester located? Residential Camps: All meals are included for the Residential Camp starting with dinner on the first day and concluding with breakfast on the last day of camp. A camp store will also offer pizza, assorted snacks, water and sports drinks for residential campers. Day Camps: Lunch is provided for Day Camp. All meals will be served in the University dining center which offers an all you care to eat menu with a wide variety of options and healthy alternatives to accommodate for food allergies. Please note on your registration in the additional comments section if you have any food allergies. Q. What medical supervision and coverage is available during the camp? A. Qualified athletic trainers will be on duty through the duration of each camp to care for minor injuries, sickness, and to ensure that all campers receive proper rest and hydration. The University of Rochester Medical Center and Strong Memorial Hospital is located next to campus in the event of an emergency. Q. What medical information is required for campers to attend camp? A. Residential campers must complete the Rochester Soccer Camps insurance and health forms that are included with your camp e-mail confirmation. Q. Where do I register upon arrival for Day and Residential Camps? A. Registration is online for all of our camps and clinics. Q. Where do I check-in for the first day of camp? A. Check-in location will be sent out about a week prior to the first day of camp. The University assigns our location and the camp staff will send out to all campers.